PLEASE NOTE: All pictures are from recently built Bethesda Too Homes. 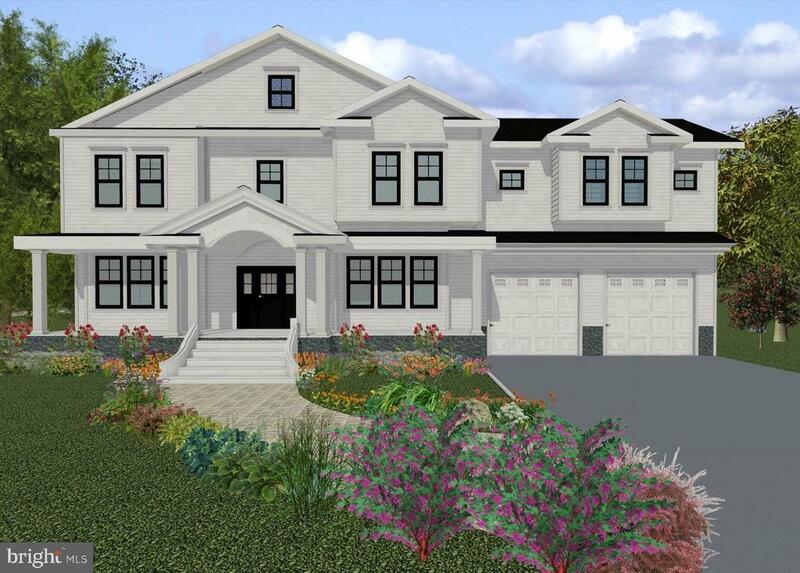 Luxurious new home being built on a deep 11, 000+ sq ft lot in Bethesda~s English Village neighborhood by award winning Bethesda Too, with details & features not often found in other similarly priced homes. The wide entry on the main floor leads to an elegant curved staircase, with formal living & dining rooms. The gourmet Kitchen features a 48~ SubZero refrigerator w/external water and ice, Wolf rangetop & microwave, 2 wall ovens, Bosch DW at the primary sink, a 2nd Bosch DW in the 5 x 8 island next to the prep sink, and a spacious walk-in pantry. The adjacent Breakfast Room has glass French doors leading to the screened porch and deck. The Kitchen opens to the Family Room w/unique ceiling detail and a gas fireplace with built-ins on each side. The main level Study has paneled walls & a window seat. The 2-car garage w/keypad and remotes leads into the Mudroom, complete with bench, cubbies, and walk-in closet. The Master Bedroom on the 2nd floor features a gas fireplace w/dramatic stone surround from floor to ceiling, a box bay window, and an adjoining sitting room or second study. Included in the Master suite are 2 room-sized closets w/numerous custom built-ins including walls for shoes, vanity table, bureaus, etc. and a dressing area w/triple angled mirrors. The all marble Master Bath includes 2 separate toilet rooms, heated towel warmer, heated flooring, free-standing soaking tub, and an over-sized luxurious shower. There are 3 unusually large additional bedrooms, each with their own bathroom, walk-in closets w/built-ins and a playroom/study room. On the 2nd floor there are hardwood floors in all bedrooms & hallways.The lower level has a large recreation room with double level wet bar, full sized refrigerator and counter seating area. A 2nd beautifully tiled powder room on this level is perfect for guests. The Theater room has tiered seating and 5:1 surround sound. Sonos Audio Distribution will be installed with additional speakers throughout the home. A 5th Bedroom includes a separate lounge area, walk-in closet and full bath. In addition to 2 storage room, the Bonus room is a perfect place for exercise, music, crafts, or other hobby. SPECIAL FEATURES: include a 22KW whole house generator, an exterior irrigation system, a RING doorbell, Honeywell alarm system and programmable thermostats. Still time to customize with an estimated completion date by end of summer 2019.